With these magnet sample packages it is possible to quickly clarify the many questions that often appears when using magnets for newly arised projects. The magnet sample packages give a great overview of the qualities of the different magnets and it facilitates testing of the products in their right environment. As a standard the magnet sample packages can be acquiered in three different versions. 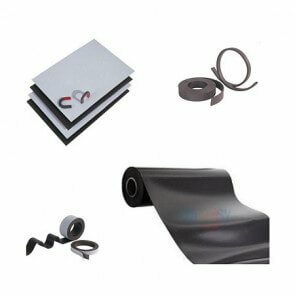 Industrial magnet sample, Flexible magnet sample and the Educational sample. If another sample package is required, please contact our sales department who will be of service. We are happy to receive any recommendations for new sample packages or alterations of our existing packages.